AMES, Iowa (December 22, 2016) — Iowa State University StartUp Factory today announced its second cohort of entrepreneurs. 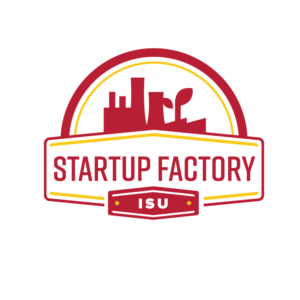 The ISU StartUp Factory is a 52-week intensive program housed at the Iowa State University Research Park that provides a new avenue for students, faculty, and staff to create technology based businesses. The second StartUp Factory cohort begins January 10, 2017. 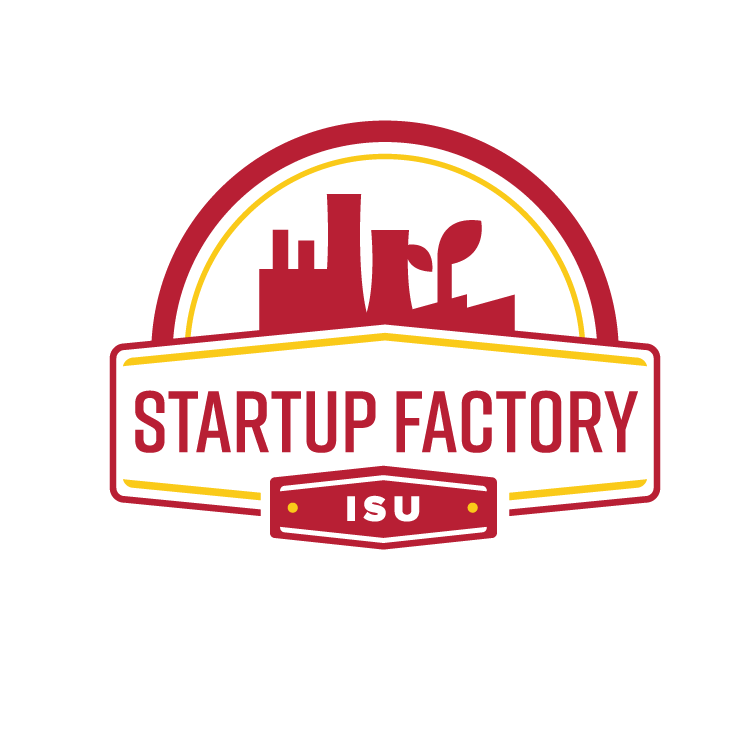 Entrepreneurs in the ISU StartUp Factory will receive formal training, resources, and access to a network of business mentors, advisors, counselors, and investors in two 26-week blocks: the first a formal curriculum centered on business validation, and the second, customized to their individual business needs. The goal is to position Iowa State among the top five universities nationally in startups within five years. ISU StartUp Factory is led by serial entrepreneur and Iowa native-turned-Silicon-Valley-success-story Bill Adamowski. Adamowski joined the ISU Economic Development and Industry Relations team to focus on growing the network of innovation throughout campus. He crafted the framework for the ISU StartUp Factory using best practices from the likes of MIT, Stanford and other successful accelerators. “Our inaugural cohort is entering into the second half of their 52-weeks, which is customized to their unique businesses. Cohort one has seen a great deal of success already with raising more than $2 million in private capital – exceeding twice the goal we hoped to raise by the end of year one,” Adamowski said. According to Adamowski, the teams selected to be part of the 2017 cohort represent a broad range of areas of expertise from all throughout Iowa State University and beyond. Adamowski credits the ISU StartUp Factory’s teaching team for their personal involvement with the program and for the major role they play in helping to shape the startup companies. Adamowski has extended an open invitation for others to get involved. PollUp – PollUp is a lightweight informal feedback software to help organizations with engaging, understanding, and retaining employees. PollUp will give companies the ability to deploy quick methods of retrieving feedback from employees and organize it into easy-to-understand analytics. With these analytics, backed by PollUp’s guidance, a company can begin to map out the current culture, vibes, and issues within the workplace. RNACorrect – RNACorrect Inc. will utilize innovative antisense oligonucleotide technology for the treatment of genetic diseases. The company will particularly focus on the therapy of spinal muscular atrophy, which is the leading genetic cause of infant mortality. Emerging Transportation AnaLYtiCs (ETALYC) – ETALYC aims to improve quality of life in smart communities by using deep learning and big data analytics. The applications can vary from smart transportation systems to designing user friendly community spaces. InfiniumHe – InfiniumHe will provide innovative solutions for the reclamation and recycling of helium. The helium recycling apparatus will reclaim the helium gas from a Gas Chromatograph (GC) split valve/port and recycle it back to the GC instrument. This apparatus will help decrease the usage of helium in the laboratory and provide long term cost savings. Nighthawk Group – Nighthawk Group security technologies help businesses secure their data, protect against cyber-attacks, and better understand the risks facing them in today’s cyber-threat landscape. Nighthawk’s Cyber Sentry solution uses the customer’s existing knowledge to simplify business security assessments and risk mitigation using its advanced, next-generation machine learning security analysis platform. InfraDrone – InfraDrone LLC provides UAS inspection, monitoring & testing solutions for multiple industries such as agriculture, civil, construction, transportation, energy infrastructure and more. Polymer Advantage – Polymer Advantage, LLC is developing an innovative chemical purification system to purify various reactive and sensitive chemicals. This is an alternative turnkey solution that can replace rigorous traditional purification processes routinely conducted in research labs in corporate, academic and government R&D centers. This equipment is compact and portable, enhances user safety, makes the purification process faster, and saves time and money to the user. Nanosense Inc. – Nanosense Inc. is a group of dynamic and driven science and technology professionals who thrive on conceptualizing, demonstrating and translating advanced materials for rapid, point-of-service biosensor development including those associated with soil quality, food safety, and animal/human health. NanoSense Inc. uses carbon nanotechnology and advanced manufacturing to develop these low-cost nanostructured sensors. Aequal Technologies – Aequal Technologies develops new nanotechnology-enabled technologies for the control of surfaces in a multitude of materials. Applications range from optics to engines to integrated electronics to MEMS. Aequal Technologies’ goal is to provide an integrated, scalable, cost-competitive, and technology-enabling set of tools to achieve complete control over the roughness of matter, down to the atom. Agventive – AgVentive is an agricultural equipment startup company whose mission is to innovate solutions that increase grower profitability. AgVentive offers new and improved equipment solutions to fill the unmet needs of farmers, allowing them to achieve greater success. DecisionPx – DecisionPx efficiently develops innovative vision-based phenotyping solutions. Our data analysis pipelines provide real time data that enable growers to make crop management decisions. DecisionPx also provides image analysis services to assist plant breeders with the development improved crop varieties. Nebullam – Nebullam helps both home and commercial growers operate efficiently and sustainably, by providing custom High Pressure Aeroponic technology, paired with data-driven, automating software. The Iowa State University Research Park (ISURP) is a 29-year-old real estate development community closely affiliated with Iowa State University. ISURP assists both established and startup companies in connecting with Iowa State’s vast infrastructure to grow their enterprises; whether through students, research entities, equipment or a multitude of other resources. ISURP is currently home to more than 70 companies, employs 1,700 people and occupies 600,000 square feet of commercial real estate on 400 acres. ISURP recently expanded into 200 acres of developable space, which will include tenant amenities, a park and multi-use trails. For more information on ISURP, call 515.296.4204 or visit isupark.org.